It was close to freezing when they went out to qualify for the Canadian Grand Prix in the autumn of 1980, so the problem everyone faced was getting temperature into the tyres. A goodly amount of downforce helped, of course, but if - like the Ferrari drivers - you didn't have any, the afternoon was a nightmare. 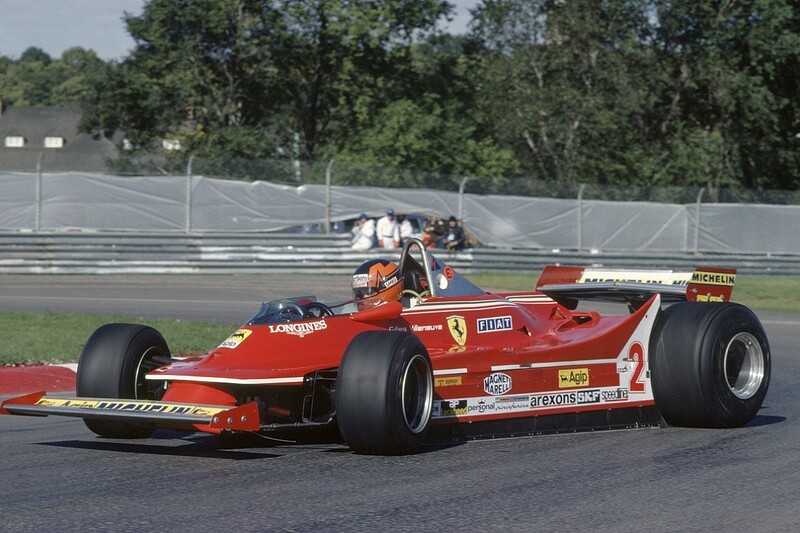 Gilles Villeneuve, ever mercurial, slithered round to 22nd place, three and a half seconds from the Brabham of poleman Nelson Piquet, and his team-mate Jody Scheckter did not so much as qualify at all. The following day Villeneuve somehow finished fifth, and afterwards was as exhilarated as ever I saw him, sure in his mind he could have done nothing more. That drive, and a similar one in the rains of Monaco earlier in the year, were among the greatest of his life, and if not many noticed that didn't matter to Gilles: he knew what he'd done. "Little victories," I said to Fernando Alonso at Daytona in January. "That's what Gilles used to call them - he'd say that even in a hopeless car if he left a track at the end of the weekend, knowing he'd done the best possible job, he was happy. That probably resonates with you..."
"Completely," said Alonso. "I'm just the same. I never knew Villeneuve, but when I was at Ferrari everyone still talked about him, and I understood why - he was a racer, a fighter, and for me that is more important than anything. "When you have a slow car, you have to find small challenges and targets - OK, you're not fighting for the big trophy, but you find motivations here and there, and you need that fuel to keep the fire burning. Without that passion - those little victories - it goes down, down, down, and then you lose the hunger. "Here at Daytona is a good example. We know our car's not competitive, but yesterday I said to Lando [Norris] and all the guys, 'Let's try to win our race - no stalling in the pitlane, doing the driver changes perfectly, avoiding contact with the GTs... It would be sad to finish fifth or sixth, after mistakes from us, because then we will have a bad taste about the race. So let's try to do a perfect race, and not care about the result - and that will be our own victory.'" At the time Alonso, after three dispiriting years in a McLaren-Honda neither competitive nor reliable, was looking to the coming Formula 1 season with some optimism. Throughout 2017 he had enthused about the McLaren chassis, and logically believed that the team's switch to Renault engines would improve its prospects. 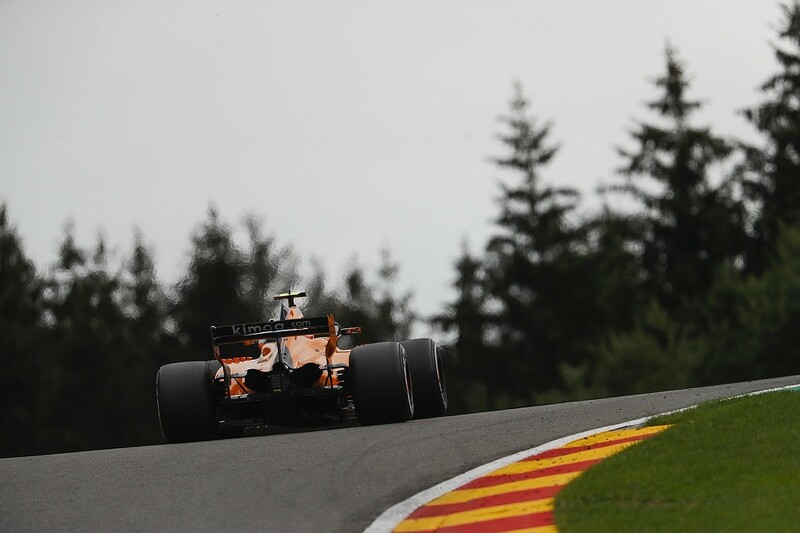 Most observers were of the same opinion, but alas, how wrong we were: the poor performance of the McLaren-Renault has provided painful evidence that by no means all the team's recent troubles could be laid at Honda's door. A while ago, indeed, it was acknowledged that this year's car unfathomably has less downforce than its predecessor. For all that, Fernando has continued to drive the wheels off it every time out, fighting for ninth as if for first, because that's him: like Villeneuve, he can do no other, and it is this aspect of his racing persona that I most admire. 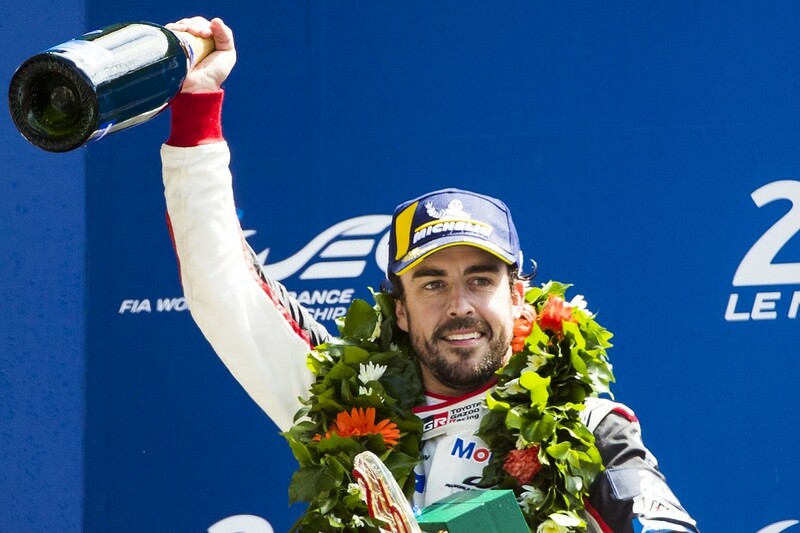 "Fernando's the best I've ever seen," said former team-mate Felipe Massa. "He never has an off day, never gives up..."
As he announced during the summer break, though, Alonso - at least for now - has called time on Formula 1, and it came as no great surprise. Watching a driver of his greatness fighting to get into the midfield has put me in mind of Villeneuve's struggles long ago with the wretched Ferrari T5. "I need to be near the front," Gilles would say, and Fernando is of the same cloth. Last year at Indianapolis he was thrilled for once to be in a competitive car, and admitted to me that sometimes it wasn't easy to keep his motivation high. "I carried on training hard, and competing in different things - like a 24-hour kart race in Dubai - that were not public or important, but at least I felt I was competitive in something, and I really need that." As much as anything else, it is the predictability of contemporary Formula 1 that has sapped Alonso's enthusiasm. Week in, week out, the Formula 2 cars - with their relatively simple aerodynamics - put on a far better show than their exalted big brothers, and that day at Indy Fernando talked wistfully about a race for F1 drivers in F2 cars: "Wouldn't that be great? The spectators would love that kind of racing - and it would be so cheap, compared with what we have now. But of course Ferrari would not be there, Mercedes would not be there, so..."
Alonso, as we know, is frozen out of Mercedes and Ferrari, and team principals endlessly trot out the mantra that he is 'political'. Undeniably he's an immensely strong-willed individual who likes his own way, but, as Frank Williams long ago remarked, the really great ones have always been like that - not least the sainted Ayrton Senna. 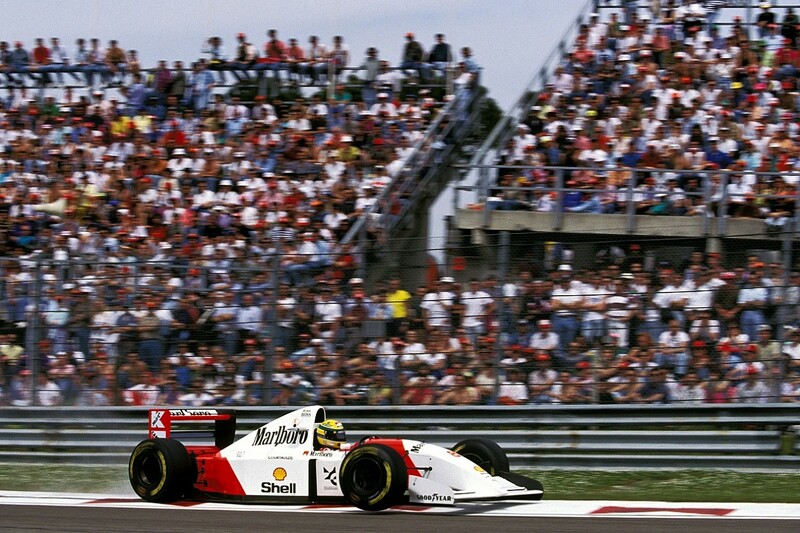 Think back to 1993, when - holding out for $1million a race, huge money in those days - for a long time Senna declined to commit to the entire season with McLaren, and to keep Ron Dennis on the hop showed up at Imola only minutes before the start of Friday morning practice, having flown overnight from Sao Paulo. Had Alonso ever pulled a stunt like that, those who delight in vilifying him would have rubbed their hands. A while ago, in a chat with Bernie Ecclestone, F1's former godfather suggested that Ferrari needed to get Alonso back. "I'm not sure," I murmured, "that Vettel would go for that..."
"So don't ask him," Bernie responded. "It's not his team. "The thing is, these people will never face facts: Ron Dennis thought he ran McLaren, but he didn't - Senna ran it, and Alain Prost before him, just like Piquet ran Brabham when I owned it, and these days Sebastian Vettel runs Ferrari and Alonso runs McLaren. With drivers of that level, it's always been like that, and it'll never change." Alonso has yet to reveal what, beyond his Toyota commitments, he will be doing in 2019, but the assumption is that he will again drive in the Indianapolis 500, and most anticipate that he will run the whole season in IndyCar, where a competitive car is virtually guaranteed. "In a way, it'll be a sort of blessed relief, not only for him but also for us - there's no pleasure in seeing a driver as great as that wasting his time. He's 37 now, so to go away and come back again would be really hard, even for him - but he's still on top of his game, isn't he? He's outqualified Stoffel Vandoorne in every race, and his racecraft has been as good as ever. The thing about Fernando is that he just loves racing: he's not precious about it, which is why you find him at a kart track - I don't think he's a guy who demands luxury! "At his first Le Mans, too, he was superb - everyone said it was going to be a hollow victory for Toyota, but in fact it was a brutally tough race, and I came away thoroughly impressed - it was absolutely a bona fide victory, after a fierce battle between the Toyotas, and Alonso's quadruple stint in the night, when he made up two minutes on the other car, was outstanding. "Throughout his career Fernando's always had this relentless, never-say-die quality, and he's still the same now. What must really hurt is that Ferrari and Mercedes and Red Bull all needed another driver - and he's never going to get into any of them, so he's had to accept that his best bet is McLaren, and for now I don't think he can suffer that any longer. "The big problem we've got is that there are only 20 cars, and while there isn't a good seat for Fernando Alonso, there are good seats for paying drivers - that's a great indictment of Formula 1, isn't it? I see he thanked Liberty for trying to talk him out of leaving - but they didn't succeed, did they?" Commenting on Alonso's decision, Sean Bratches said, "He's been such a hero, a legend", and he admitted that Fernando's leaving was a blow. "I was," he said, "disappointed from a business standpoint." Those who love Formula 1 will be disappointed for sporting, rather than financial, reasons. On the day of his announcement, Paddy Lowe, with whom he worked at McLaren in 2007, was asked by the BBC for his reaction, and he didn't hold back: "It's an absolute disgrace that Formula 1 cannot give an ace such as Fernando a competitive car. He is one of the all-time greats. And because he can't get into one of only six cars that can ever win a race in the current business model, then he must leave. This is a sign if ever we needed one that Formula 1 is completely broken." If it is Alonso's personal tragedy that he has not been in the mix these past four years, it has been a greater one for Formula 1. While the Alonso announcement was not unexpected, that from Daniel Ricciardo came out of nowhere. Invariably in these circumstances there are those who claim to have seen it coming, but on this occasion everyone was caught off guard. In this era the business of signing drivers has fundamentally changed, not least because so many are 'owned' by this company or that, a phenomenon unknown not so long ago. I have come to think in terms of drivers being awarded passes: gold for Mercedes and Ferrari gives you access to guaranteed victory, silver for Red Bull the occasional possibility of it, while bronze for everyone else allows admission to the battle for seventh. Commercial reality dictates that many of the latter are available for sale. 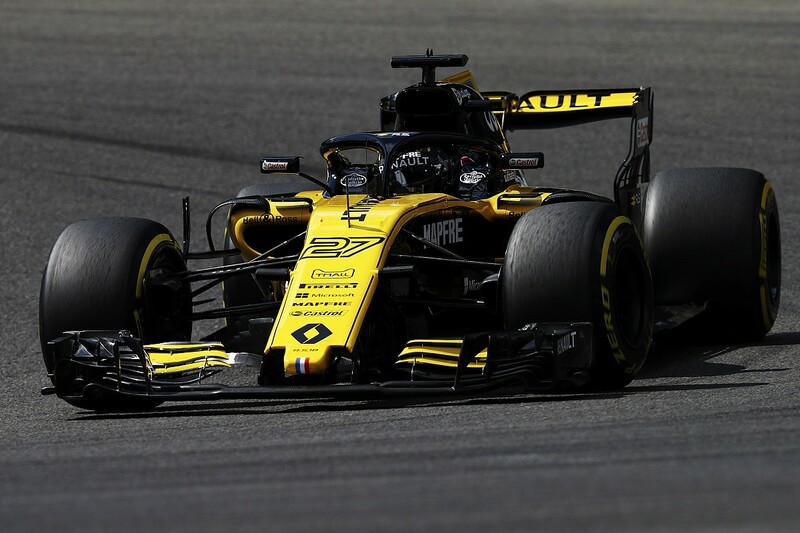 For all that he is a 'Mercedes' driver, Esteban Ocon had been due to move to Renault, but Ricciardo's unexpected decision put an end to that. Nor for that matter can Ocon stay at Force India, where well-financed Sergio Perez is to be joined by Lance Stroll, whose father's consortium recently bought the team. "I think," said Brundle, "that we've completely lost our way on what Formula 1 is supposed to be. It should be the 20 best drivers in the world, but it's not, is it?" Where next, then, for the highly rated Ocon? "It's not down to one party deciding a movement," said Mercedes' Toto Wolff. "We need to put in place several chess figures" - he might have said 'pawns' - "and that isn't clear yet." For the first time in 10 years, Ricciardo found himself a free agent, and to general amazement chose to trade in his silver pass for a bronze one. Few were more taken aback than Helmut Marko and Christian Horner, but - as with McLaren people, when Prost left for Ferrari - perhaps a touch of introspection might be appropriate in their bemusement. The decision to go with Honda in 2019 will have been a factor in Danny's thinking, but beyond that was something more fundamental, the fact that the tide at Red Bull was not running his way. Once that seeps into a driver's mind, it is as good as impossible to remove it, as Prost once told me. At the beginning of the summer break, an announcement about Ricciardo's future duly materialised - and it was from Renault. Danny came forth with all the usual stuff about 'needing a new challenge', and doubtless he meant it, but beyond that I could not but think of Prost and McLaren: "At Monaco in '88 Senna crashed out of the lead, and I won - but that evening, at the Gala Prizegiving, all Ron could talk about was how sorry he was for Ayrton." When denying, following Ricciardo's move, that Red Bull had made an offer to Alonso, Marko said: "If you look at his history, in McLaren and Ferrari, it was always a one-man show, and that doesn't fit with us." I know a Mr Webber, of Queanbeyan, New South Wales, who will have spluttered at that. "Marko and Vettel held all the cards, mate," Mark told me. "Fundamentally, if Sebastian was happy, Helmut was happy. I'd been at Red Bull for two years when it was announced that Seb was coming to the team for '09 - Helmut's quotes to the press were that he was 'going to finish Webber's career', and this was before we'd even done a race together! "In 2010 I won at Barcelona, and then at Monaco a week later - after which we went to Istanbul, where I was leading when we had the incident." This coming-together between the Red Bulls was clearly Vettel's fault, yet Marko instantly blamed Webber, and it wasn't greatly different at Baku this year, when Verstappen caused an accident that took out Ricciardo as well as himself. At the time Daniel was very much the Red Bull driver in form, having recently won in Shanghai, while Max was having a terrible time of it. 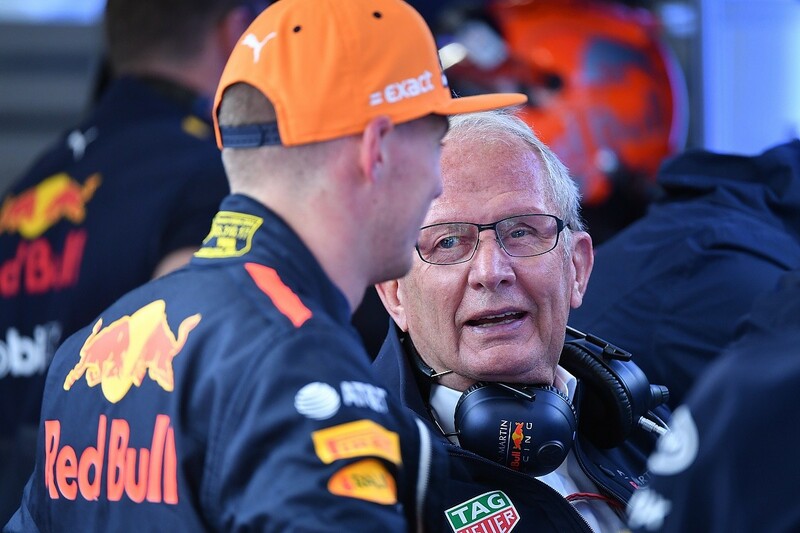 Marko - doubtless mindful of the team's wish to keep Ricciardo - did not try to blame him for the shunt, but neither did he ascribe it to Verstappen. It was, he said, 50:50, which most saw as tantamount to saying, 'It was Max's fault, but I can't bring myself to say it...' Whatever, I doubt that Danny was much impressed: if he weren't in favour just then, when was he ever going to be? "Yes," said Brundle, "I get all that - in the end he just wanted out, didn't he? Clearly, he was unhappy at Red Bull - otherwise he wouldn't have been looking around in the first place. Verstappen's not going to get any slower in the next 10 years - and he claims the high ground in the team, doesn't he? "Therefore you either leg it, or you say, 'Let me just show the golden boy how this is done', as he did in Monaco and China. And to be honest, I wish that was the decision he'd taken - just get his head down, forget the apparent favouritism towards Verstappen, and go and hit it head on. "The only reason to leave Red Bull was to go to either Ferrari or Mercedes - I couldn't see any other logical reason to change. Given that that couldn't happen - and he'd decided he wanted to leave Red Bull, anyway - he's done the only thing he could have done, and joined the only other 'works' team." That, of course, was Nico Hulkenberg's reasoning in leaving Force India for Renault - it was a factory team, and the only one he had ever been offered. 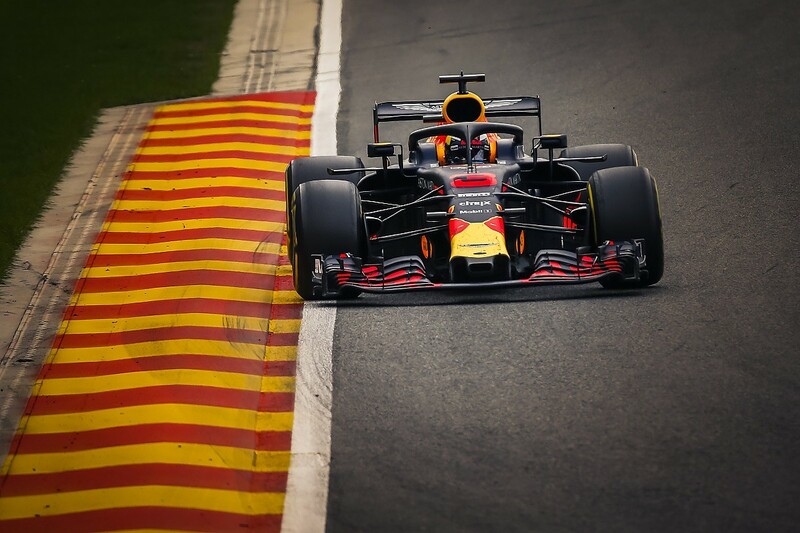 "Yes, go and be a bigger fish in a still relatively big pond - but in Ricciardo's case, he's going to a car he would normally expect to lap in any race free of a safety car. I'm sure the Renault will be good, but occasionally a Red Bull can beat anything, and he's not going to have that. Still, he was unhappy where he was - he felt he was driving in Verstappen's team - and he wanted to make a team of his own, so good luck to him. I hope it works." For a long time it was tacitly assumed that as and when Red Bull needed a new driver, it would be Carlos Sainz Jr, but another in the company's stable, Pierre Gasly, has got the nod, leap-frogging Sainz, much as Vandoorne did Kevin Magnussen in McLaren affections. "These things happen, don't they?" said Brundle. "Gasly is a good choice for Red Bull, no doubt about it, but personally I think it would have been a no-brainer to go with Sainz - perhaps they thought there would be friction between him and Verstappen, like when they were at Toro Rosso together. "Now Sainz is going to McLaren, but who will be with him? Will Mercedes 'place' Ocon there, or might they go with Lando Norris? At one point, when it looked as though Raikkonen was going to lose his drive to Charles Leclerc, they were thinking about him, but that would have been revisiting old ground - and anyway Kimi now looks sure to stay at Ferrari. "Anything's possible at McLaren, but it's looking unlikely that Vandoorne will keep his place, and that's a shame. All the way through, in GP2 and so on, he looked sensational - and he did a terrific job in his first F1 race, standing in for Alonso at Bahrain two years ago. Stoffel's a really nice lad, but, observing him, I don't know if he's got a strong enough personality." It has been Vandoorne's misfortune, of course, to come into Formula 1 with a woeful car, and ironically the man he usurped at McLaren - Magnussen - is having a much better time of it. It pleases me, I said to Brundle, to see this proper old-fashioned racer thrive with Haas. "I agree - what impresses me is that through all the trials and tribulations he's kept his self-belief intact. The Haas is obviously good this year, and he's making the most of it - he's brought himself back into contention, and in Formula 1 that's really hard to do. You don't get many second chances, and you're written off in a heartbeat. "Kevin's having an incredibly good year -in fact, amid all our concerns about the state of Formula 1, the thing that really excites me is the new talent, like Ocon and Gasly and Leclerc - some that's already arrived, and some that's knocking on the door. There are some great young drivers out there - they just need to get into the right cars..."
Absolutely they do. 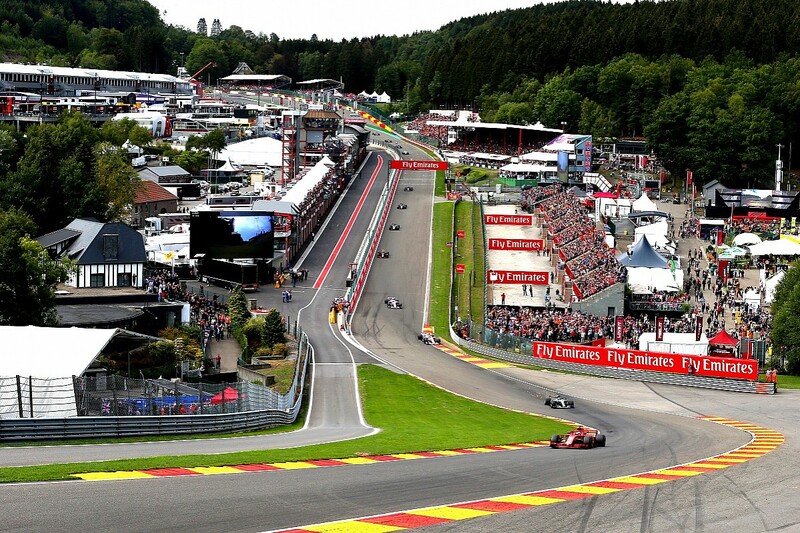 After 10 laps at Spa Vettel's Ferrari led Hamilton's Mercedes by three seconds and Verstappen's Red Bull by 13. The rest were somewhere in Belgium.